The written episode of Kumkum Bhagya starts with Mangalsutra from Abhi’s hand falls on Pragya. Pragya gets shocked to see this. In other hands, the episode begins with Purab, Disha, Tanu, and Abhi coming to the jewellery shop. Pragya is busy for selecting the jewellery. The manager says them to come to the first floor for visiting exclusive jewellery. He asks Abhi and Purab to come and see the exclusive jewellery. Abhi does not see Pragya sitting on the ground floor. Pragya sees at the Mangalsutra. Abhi thinks that Pragya had come to purchase Mangalsutra. Pragya senses Abhi around her. She gets amazed to see Abhi. Kiara asks Sunny to come to her house but Sunny tells Kiara about his parent’s marriage anniversary. Then Sunny did not go to her house. Kiara was a little sad. Kiara asks him to invite her so that she can come there with her parents. Kiara was so excited to welcome her parents. Sunny welcome her for his parent’s marriage anniversary. Kiara tells that she will come with her father and mother. Tanu thinking that she will not give chance to Pragya to return to Abhi’s life. 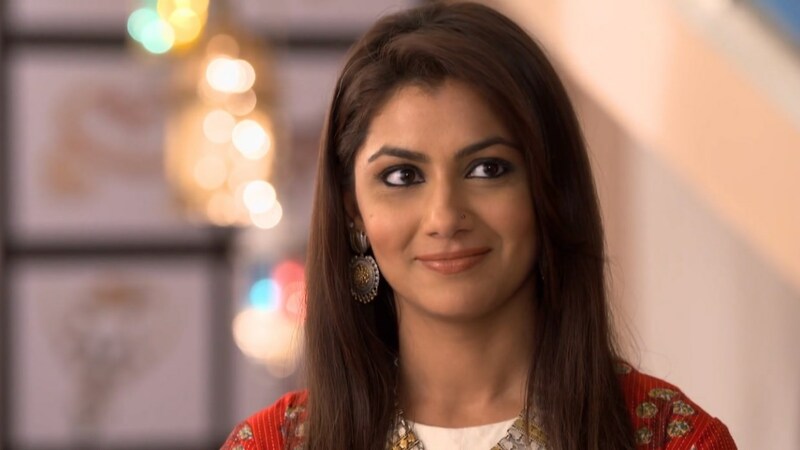 Tanu was so confident that she did not give any chance to Pragya. The manager comes to Abhi and says that Tanu was finding for him. Tanu was searching for Abhi. But she doesn’t anywhere he is. Disha likes a chain for herself. Tanu likes the indicator of marriage that is Mangalsutra which Pragya saw and told that she will do anything for Abhi. Tanu says this because she loves Abhi. She want’s that Pragya never comes back in the life of Abhi. She gets apologizes to Abhi for prohibiting to adopt a child and tell that she felt she could not become a good mother and wife. Her intention is to gave emotionally blackmail to him. She knows that Abhi was emotionally weak. Tanu rising in the idea of getting married. Abhi says that he has dropped his idea to adopt a baby and tells that Kiara and Sunny are always there for him. Purab overhears him and told the same to Disha. Pragya gets a call from the king and he asks her to get the gold chain packed as he wanted to gift Kiara on her birthday. To listen to this she gets happy. There is a smile on her face. Pragya asks sales girls to get it packed. After this when Pragya went exit a boy collides to Abhi. A boy gets sorry for this. The Mangalsutra falls from Abhi’s hand and befalls in Pragya’s neck. Pragya looks at Abhi and he also sees the same to Pragya. They both remember their good days. Also, they never expected for this happening of coincidence.